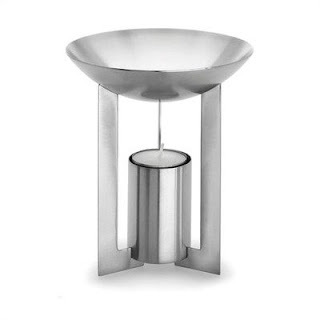 Blomus Cino Stainless Steel Round Aromatherapy Burner. Product Description. 68367 Features: -Stainless steel.-Uses standard tea light candles. Dimensions: -Overall Dimensions: 5'' Diameter.